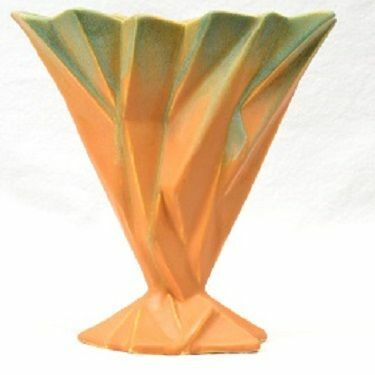 The majority of the glazes utilized by the Muncie Pottery were created very early, few additional glazes became common after 1925. 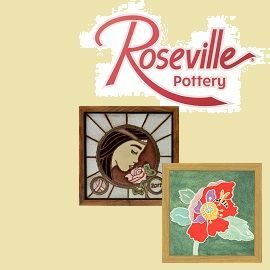 Unlike other companies such as Roseville Pottery, Muncie Pottery was unusual in their use of glazes in that they seemed to follow no plan as to which shapes would receive which glazes. 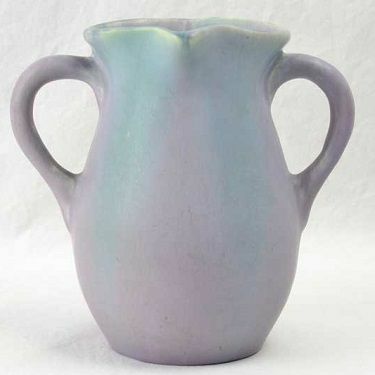 In fact, nearly every shape can be found in nearly every glaze. 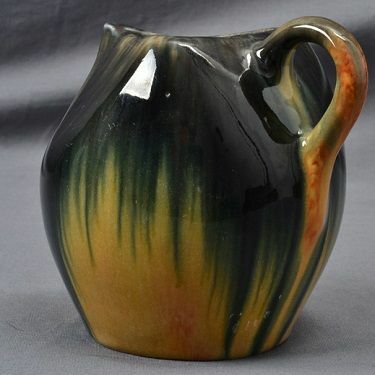 This leads to one of the categories of collectors somewhat unique to Muncie; trying to collect each glaze in a particular shape. 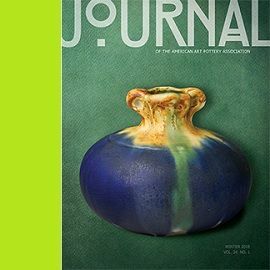 Of course, some glazes or color combinations are rarer than others, making such collections particularly difficult. 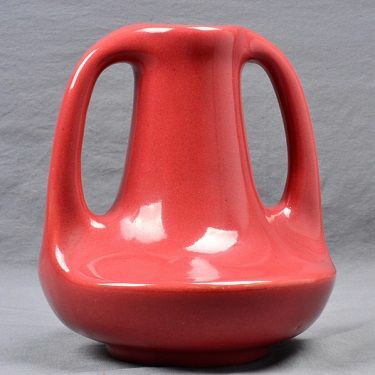 On a basic level, Muncie Pottery had three glaze types: Bright (High gloss), Matte (Flat soft finish), and Peachskin (Actually a treatment of Bright). Within each of these were a palette of colors which could be used in multiple combinations. Where multiple colors were used, there were three different methods of application: drip, brushed, and airbrushed. Each of these application methods is trivial to identify as they are so completely different in result. 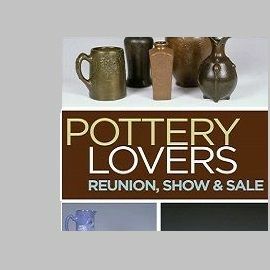 The colors used for bright glazes include: White, Black, Cobalt Blue, Medium Blue, Light Blue, Mauve-Brown, Medium Green, Light Green, Yellow, Brown, Maroon, Mustard Yellow, and Plum. All of these can be found as solid colors. When used in combinations, not all color combinations were used. Some of the more common are: Cobalt Blue over Light Green, Cobalt Blue over White, Light Green over White, Medium Green over Yellow, Cobalt Blue over Yellow, and Mauve-Brown over White. Dripped combinations are the most common, but airbrushed pieces are not uncommon. The colors used for Matte glazes include Rose, Green, Lilac, Blue, White, and Pumpkin among others. The Green over Lilac, Green over Pumpkin, Green over Rose, and Blue over Rose are by far the most common. Dripped and airbrushed examples appear to have somewhat equal distributions. The Peachskin glaze demands special consideration. 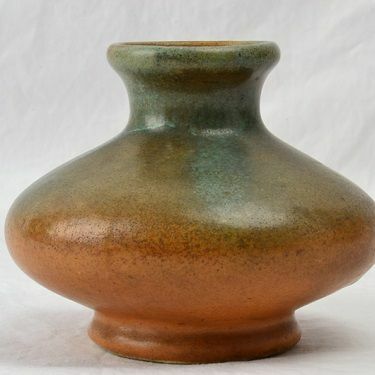 It appears that the Peachskin Glaze was discovered relatively early in the history of Muncie Pottery, probably sometime between 1923-1924. 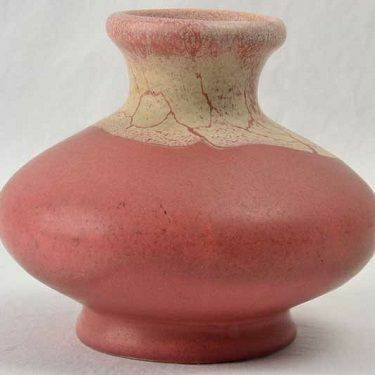 It is the most highly collected and highly prized glaze of any of the Muncie Pottery glazes. 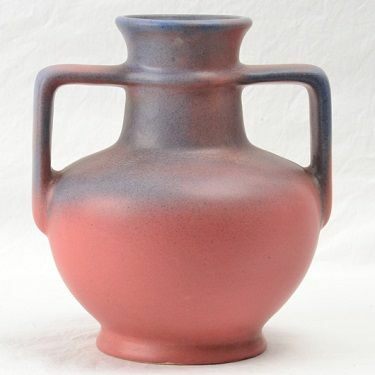 Like most unique glazes, it is said that it was created by accident. The rust colors are attributed to iron oxides frothing to the surface under very specific conditions and temperatures. The effects are widely varied from piece to piece, some displaying very little, others seemingly covered in it. 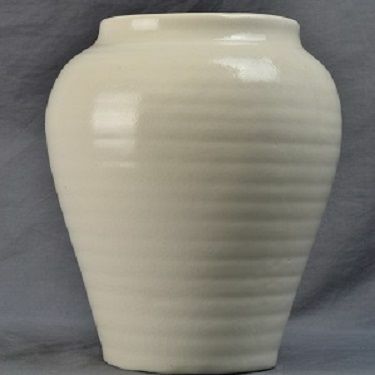 Temperature ranges and even location within the kiln could greatly affect the extent of the Peachskin effect that a particular piece might receive. The colors of the drip are drawn from the Bright glazes, particularly Black, Cobalt Blue, and Light Brown over a Beige base. The effect is most apparent when showing through the creamy beige. 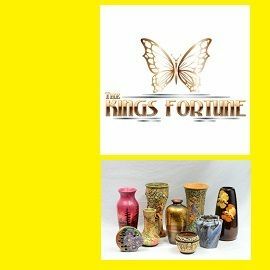 Below are some examples of the typical Muncie glazes often found in auctions or antique stores.